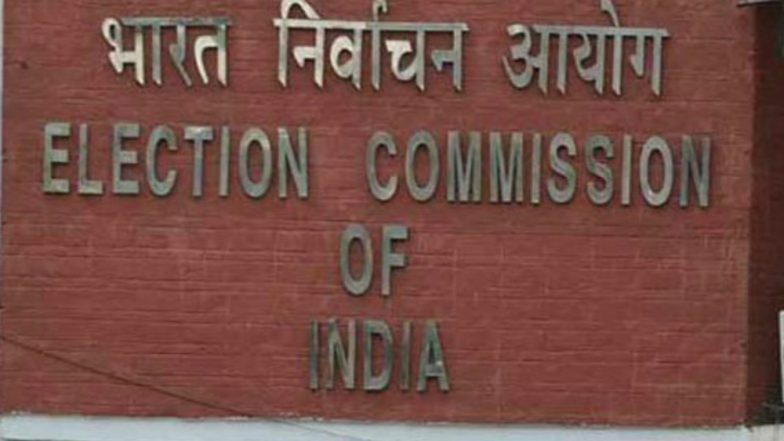 New Delhi, April 16: The Election Commission of India (ECI) has said that no order has been issued by it so far regarding cancellation of Lok Sabha elections in Tamil Nadu's Vellore constituency. The clarification comes after various media reports claimed that the poll body is mulling over cancelling polls in the Vellore parliamentary constituency over the alleged use of money to influence voters. However, ECI's official spokesperson Sheyphali Sharan said no such order has been issued yet. Vellore parliamentary constituency is scheduled to go to polls on April 18. The results of the elections will be announced on May 23. As per the seat-sharing arrangement of Congress-DMK alliance, the Vellore seat has gone to DMK. Similarly, an alliance of BJP-AIADMK and other regional parties has conceded the seat to AIADMK. Vellore Lok Sabha Election 2019: ECI Recommends Cancellation of Polls After Cash Seizure From DMK Leaders. The DMK has fielded Kadhir Anand from Vellore Parliamentary constituency against AIADMK's AC Shanmugam. Last month, the Income Tax department and Election Commission officials had raided DMK treasurer Durai Murugan's residence in Vellore, and reportedly seized a large amount of unaccounted cash. Raids were also conducted at Kingston Engineering College and Durai Murugan B.Ed College, which are owned by Kadhir Anand.